This scene in Luke is remarkable for its portrayal of the interconnected relationship of four individuals, not just two. Here are two cousins who become mothers despite utter impossibility — one too elderly and one virginal — and their unborn sons — one who is harbinger and one who is God. These unborn babies are not just passively “hidden within” here. They have changed their mothers in profound ways, as all pregnancies do, but especially these pregnancies. As any mother who first experiences the “quickening” of her unborn child can relate, there is an awesome and frightening awareness of a completely dependent but active “other” living inside. She is aware she is no longer alone in her shell and what happens to her, happens to this other life as well. 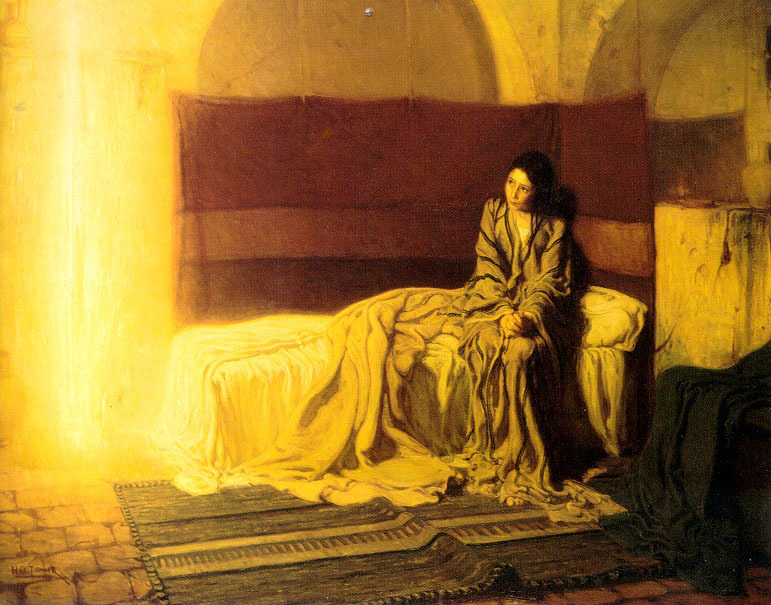 The moment Elizabeth hears Mary’s voice, she and her baby are overwhelmed, filled with the Spirit from Mary’s unborn. They leap, figuratively and literally. Her voice leaps up, louder in her exclamation of welcome; John leaps in the womb in acknowledgement of being in the presence of God Himself. How can our hearts not leap as well at His Word, at His hope and plan for each of us, at His gift of life from the moment of our conception. After all, He once was unborn too, completely dependent on His mother, completely alive because of His Father.